As the proliferation of smart phones continues to dominate our lives, it’s important to ensure that the telephone call-to-action number functionality is optimised to make conversion as easy as possible for prospects to your business. The inclusion of call tracking on your mobile-optimised responsive site is a further enhancement to your ability to accurately track the journey of your customers. When you display the phone number, here at Delacon, we recommend that you use an additional piece of code attached the number that will both trigger skype to load on the desktop and when pressed on the mobile will fire a pop-up on the phone prompting the user to call. This clickable phone number makes it easier for prospects to reach your call centre staff. The numdiv_15483_2 refers to cid or company/campaign ID in the Delacon system. The 2 is the second example a call tracking number appears on that web page. So now that you have the call tracking numbers optimised for your responsive mobile websites, how do you track the volume of calls inspired by desktop and mobile browsing. 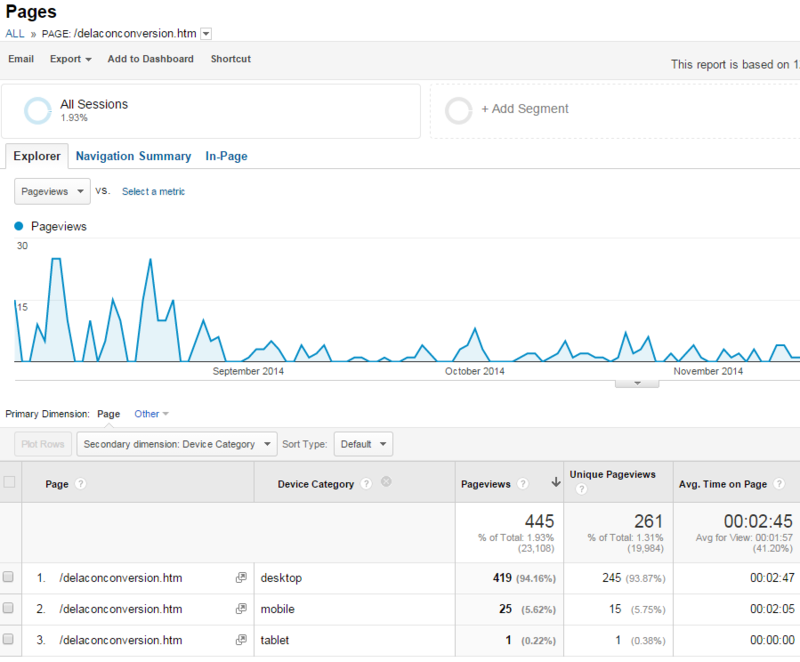 Through Delacon’s integration with Google Analytics, you can see the breakdown in GA by going to Site Content, All Pages and searching for delaconconversion.htm or whatever you used to identify the call conversion. Click on that page and add the secondary dimension of Device Category – it sits under users. This will show you the breakdown of devices that prospects used before making a call. If they were browsing on a mobile, then logic says that they most likely called on that same device. By the same analysis, you could also select the secondary dimension of Operating System. This will show you the breakdown of operating systems that prospects used before making a call. 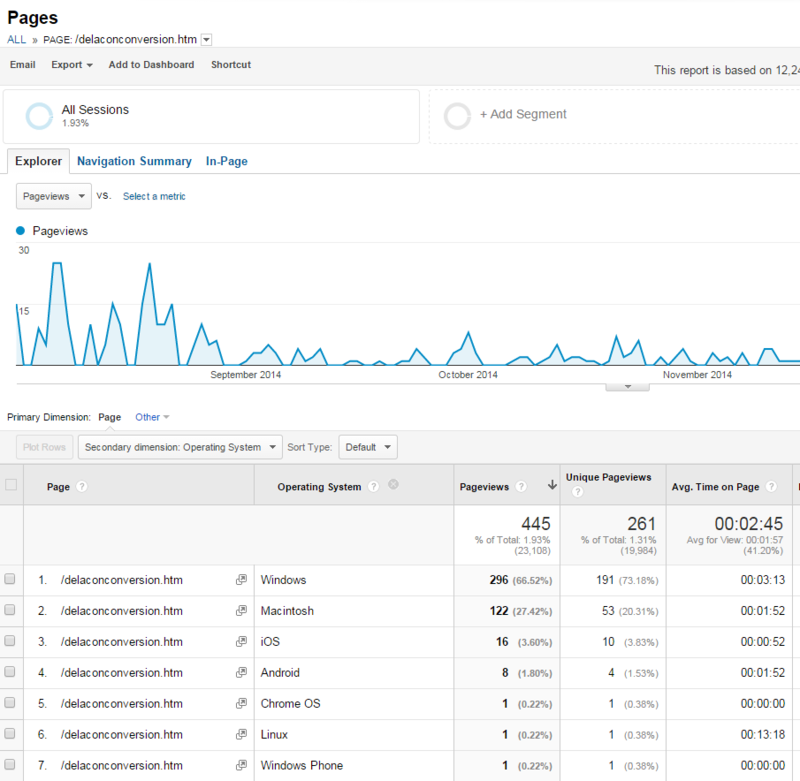 Importantly, it will show whether you’re leads are using an iPhone or Android. If Santa used Delacon’s call tracking solution which features would he find most useful?